You'll be back! 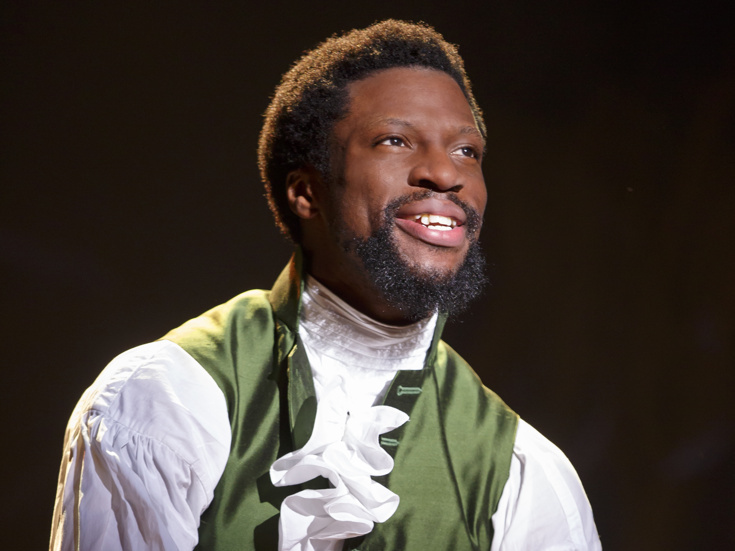 Hamilton alum Michael Luwoye returns to the show's Broadway production in the title role on January 16 at the Richard Rodgers Theatre. Original company member Javier Muñoz played his final performance in the hit musical on January 14. Formerly an understudy on Broadway, Luwoye recently led the show's touring cast. In addition to his work in Hamilton, Luwoye appeared off-Broadway in a Lucille Lortel Award-nominated performance in the musical Invisible Thread. He was also seen on stage in Cardboard Piano at the Actors Theatre of Louisville. The current Broadway cast of Hamilton also includes Daniel Breaker as Aaron Burr, Bryan Terrell Clark as George Washington, Mandy Gonzalez as Angelica Schuyler, James Monroe Iglehart as Marquis de Lafayette/Thomas Jefferson, J. Quinton Johnson as Hercules Mulligan/James Madison, Joanna A. Jones as Peggy Schuyler/Maria Reynolds, Lexi Lawson as Eliza Hamilton, Anthony Lee Medina as John Laurens/Philip Hamilton and Euan Morton as King George.